The ministries at Harris Hill are open to anyone - members, occasional attendees or first time visitors. Harris Hill's GO! 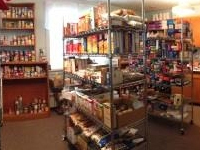 Ministry is a HUB of the Eastbrook Mission Barn in Eastbrook, PA. 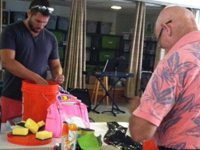 The focus of the ministry is to collect, assemble and distribute UMCOR relief kits. The majority of the relief kits are ultimately delivered to UMCOR's supply headquarters at Sager Brown in Baldwin, Louisiana who distributes the kits domestically and world wide. A smaller emergency supply is also kept on site in the event of a local disaster. The immediate needs of this ministry are constantly changing-check out the Go! page to learn of the current needs of this ministry. The prayer shawl ministry is comprised of knitting and crocheting enthusiasts who create shawls that are not only filled with their blessings and prayers but also by those of the Harris Hill UMC congregation. The shawls are given to those battling any kind of obstacle or issue in their life, be it financial, emotional, grief-related, work-related, an illness, or any issue that places a great burden on our shoulders. It is meant to provide a source of comfort and hope with the knowledge that prayers were sent on the recipient’s behalf. 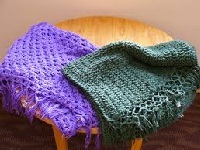 For anyone looking to participate in the ministry you may do so by creating a shawl, donating funds for the purchase of yarn, donating yarn (medium weight 4), or praying over a shawl prior to it being given to a recipient. This ministry is meant to be uplifting to all those involved! 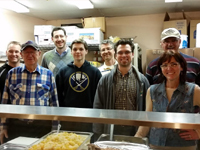 The Men's Soup Kitchen cooks goulash for the Friends of Night People shelter in downtown Buffalo. Open to anyone. Just show up or contact Jon Delong (jonman46@aol.com) to get on the email list for this group. 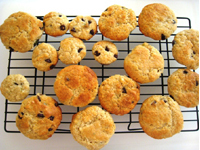 “Sweets for the Soul" will be making baked goods once a month for those who need a reminder that God loves them and we are thinking of them. Join them in the HHUMC kitchen -- everyone is welcome to join them! 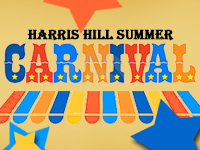 Harris Hill provides a free community carnival as a way to reach into our community and provide an affordable afternoon of family friendly entertainment. There are plenty of games, prizes, snacks, a petting zoo and other surprises. Each year our church has the opportunity to meet and greet those who come, sharing God's love in fun and fellowship. 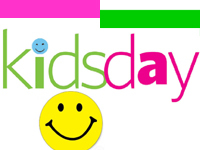 This evening provides kids 5 years to 5th grade an evening filled with scripture, music, games and a snack. Together we find out more about God's promises for his people. 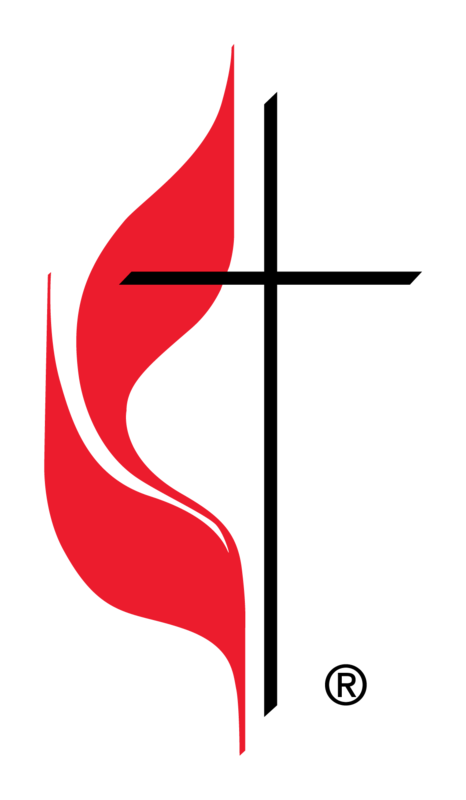 HHUMC is collecting food for Clarence Presbyterian Church to feed the hungry of Clarence, NY where you might not expect to see hunger as a problem. 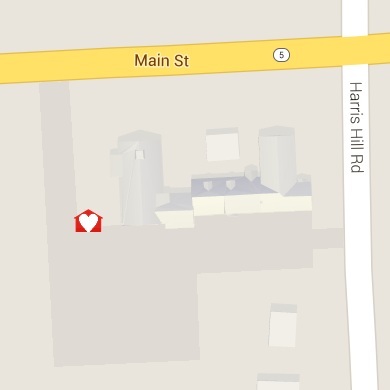 HHUMC now has a Hearts for the Homeless drop off bin on site! 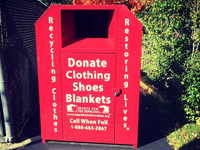 Donate your "gently used" clothing, shoes, accessories, linens or small household items. Items are resold to the needy at affordable prices at Hearts for the Homeless's Thrift Shop in Tonawanda St in Buffalo. 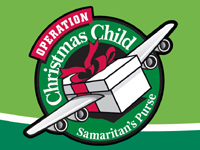 A.K.A The Shoe Box Ministry through Samaritans Purse, OCC's mission is to demonstrate God's love in a tangible way to needy children around the world. Each year Harris Hill collects small toys, school supplies, hygiene items, candy and personal notes for children who have never received a Christmas gift.